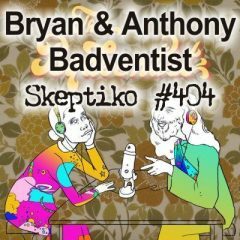 Alex Tsakiris: Today we welcome Steve Briggs to Skeptiko. Steve is the author of India Mirror of Truth, a book that chronicles his amazing journey and experiences with a variety of India mystics, yogis and otherwise just amazing people. 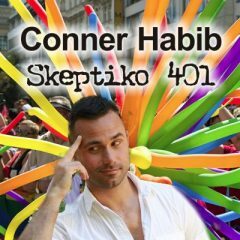 It’s quite an incredible account and I’m super excited to have Steve join me today on Skeptiko. Steve, welcome. Thank for being here. Steve Briggs: Thank Alex, it’s a pleasure to be talking to you. 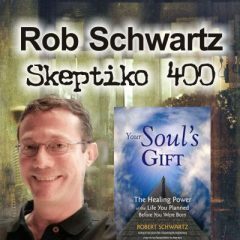 Alex Tsakiris: …to understanding the flexibility of reality and I relate it back to, I was talking about parapsychology. One of the first guys I talked to and things I got interested in was the Dean Radin IONS who’s done this. Dr Dean Radin, incredible, peer-reviewed multiple times, multiple labs, over and over and again, this presentiment of fact, where people are shown this image and the have the natural ability to know, their body knows and responds before the image is shown, whether it’s going to be some kind of graphic violent image or just some pastural, kind of nice calm thing. 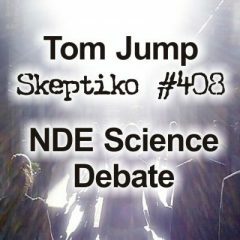 Is it that, like in the lab, a demonstration of the flexibility of reality and then you are experiencing it on the tennis court and then you’re relating it to people who have [downloads 00:17:29] and all this other stuff, but what if we take a step back? I just would love you to comment on this idea, if we fully embrace the idea that reality is flexible in all of these different ways, that’s kind of uncomfortable too. I mean, what does that mean? Steve Briggs: I love that term, ‘reality is flexible’. I believe it’s infinitely flexible, it has no limit to its pliability and I hope we can delve into that a little bit more later on. One example of that flexibility is I had, I don’t know if you want to call it precognitive, but I knew what my opponent [unclear 00:18:06] was referencing, I knew where my opponent was going to hit his serve. Once my awareness had shifted into this, what I would call a more quantum mechanical state, a more holistic state of awareness, a less tense state of mind, just more fluid, then suddenly great things were happening, and it was like I was a man playing against a child. I had this advanced inside information and it was like being an insider on Wall Street, how can you lose? I don’t care for the analogy, but anyway, that’s how it felt and that’s what the result was, and I won that match and went on to get a top 15 ranking in the country, based on one hour of transcendent experience. Alex Tsakiris: I love how the story goes, coaches get mad because you were teaching everyone TM, everyone was meditation and it was effective in your success on the court. Steve Briggs: We had all my old college buddies. We had a varsity of eight players and five of the eight guys learned to meditate the year that I became a teacher. My brother was there, including my brother and my doubles partner, and we went on to win three conference championships and three top 10 NCA finishes and we were having a blast. So, let’s talk about what that means, in terms of, we said that reality is maybe more flexible than we think. Alex Tsakiris: The next step would be saying, maybe these extended consciousness realms are more flexible than we think and then the third part is, is there a spiritual reality that stands apart from that or is it all just extended consciousness? 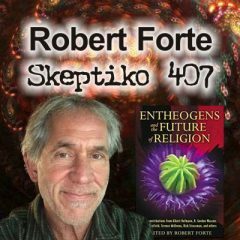 Steve Briggs: One of the beautiful things that Maharishi taught me, I remember way, way back, he said, “Now, I’m giving you this technique that can take you all the way to the gold,” which he described as cosmic consciousness, enlightenment, he said, “But capture the fort. Don’t go after the gold mines. If you capture the fort, enlightenment, everything in the perimeter around you will be yours automatically, all the goldmines, silver mines, diamond mines are all yours.” He was referencing that a diamond mine is, say the ability to teleport. A gold mine might be the ability to bilocate. All of these supernormal powers that sometimes we see in the superhero movies in the theater. So, we have that as a baseline and when I got to the Himalayas, I’ll just tell you one little story. I met this fellow named Maharaj and Maharaj had been living up there for decades; summer, winter. He didn’t speak any English, but I was talking to him through his disciple who was translating because he had perfect English, and I wanted to get an idea of where Maharaj’s consciousness was at. So, I said, “Maharaj, if you don’t mind, what do you do at night when you’re asleep?” I had a reason for that because I was aware that yogi’s sleep might be different than your sleep or my sleep, where we’re just sawing wood. So, he looked up to the sky, it was the morning, he looked up at the sky and pointed and through the translator he said, “At night, during my yogic sleep, I go to that planet, I go to Jupiter, I go to Mars, I go to the moon, I travel,” and that made perfect sense to me because I had had some of those kinds of experiences myself and that, to me, was an innocent confirmation. He may have been just putting me on, who knows? He may have been counterfeit, but there was no agenda, I wasn’t going to give him $100 for talking to me, we were just talking as two people. Actually, we were pretty much strangers at that point. So, that was my first conversation with somebody who had ‘gone out of the body’. Now, since that time, that was 20 years ago, I’ve had a lot of experience that we could qualify as out of the body, and some people have written about those experiences as a result of near-death, accidents, illness. There’s been bestsellers by people who thought they’d died and come back. As I began to meet Tibetans, some of the lamas up there, this is an area called Ladakh, it’s actually a purer Tibetan culture than Tibet, because of what the Chinese have done to Tibet, but they haven’t been able to get into Ladakh, because it’s within the Indian borders, so it’s been saved, preserved in its integrity. So, we spent some time in some of the monasteries up there, and you mentioned that there are these underground cells where, they don’t always lock you in there, they have a little hole where you can get one meal a day, but they cement you in. No one’s forced to do that, but you go in there, if you want to, if you feel like you’re ready for it, and you go in there and you stay in a lightless cubicle for three years. You start out doing three days, then you do three weeks, then you do three months and then if all of that goes according to your satisfaction, as the lama, you may commit to three years. Now, there’s nothing to do in an eight by eight cubicle with no light and one meal a day, right? So, you going to go stark raving mad if you’re just sitting in there. Maybe if you’re a good meditator, you’re going to really face your demons. But, as I was told, these guys do this because they’re given a technique and taught how to do it. They learn to use their ‘light’ body and they travel and they might be having a better time in that cell than we are travelling the world in airplanes, because they move through the universe, this is using their terms, as easily as we move around in a car, easier, or in an airplane and if they didn’t have that ability, I think that probably most of them would be completely bonkers within a week. So, it sort of pushes the issue that this idea of flexibility of reality, flexibility of consciousness. They are sort of forced to make that leap of disconnecting the binding influence between the soul and the body. Now, when they travel, and when I’ve travelled, these were not techniques, I want to make clear, that I learned from Maharishi, I learned them from a Saint in the Himalayas named [unclear 00:37:01], maybe we’ll get around to that. He’s written about in the story. 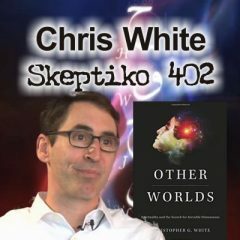 Alex Tsakiris: There are plenty of people out there who have done astral travel in one way or another and have even come close to verifying it, although some people wouldn’t agree with the verification. It’s on the table. Steve Briggs: Okay, first I’ll backtrack for moment. Maharishi used to tell us, we don’t astral travel. He said, “Don’t astral travel.” Maybe it was that point in time in our training, we weren’t ready for it. So, I always use a different term for it, just because I have this lingering memory of Maharishi saying that. I experience that it’s light body travelling, and it’s just maybe semantics, it may be exactly the same thing, I can’t really say. But I would call it a soul, gathering aspects of myself, including my unified chakras, those seven chakras that’s the whole tradition of the spiritual path as well. I unify those chakras, put them in one place, and with what amounts to it, ectoplasm. It’s like a spider creating a web, it self-manifests, self-made. Actually, in the Judaic tradition and in the Egyptian tradition, there’s something called a murqaba. I never used that term when I started doing this practice and [unclear 00:43:44] didn’t call it a murqaba, but in the Judeo tradition, Judaic tradition, it’s called The Star of David, and it amounts to a chariot. The translation of murqaba is chariot or vehicle of light and like the spider who creates his own web, we have this ability, because consciousness has this great range of flexibility we can create through our intention. That’s the key, intentionality, a bubble, an ectoplasmic bubble, if you will, and we just travel in that powered by thought and intention. So, you are absolutely still connected to your body through your silver cord. I’m sure it’s been talked about in these people’s books that have had these near-death experiences, because, had the silver cord severed, they would have passed, they would not be alive. As long as the silver cord is intact between the physical body and the soul aspects that are moving wherever they’re moving, they may just go from here to Chicago, they may go off planet, whatever, you are ‘alive’. But if it were to be severed, that would be it. So, anyone who’s ever written a bestseller about a near-death experience has not had the silver cord severed. Alex Tsakiris: I’ve heard various things about the silver cord and different people interpret it different ways, in terms of all of that, which is just another aspect of this that we could get into, which is that not everyone agrees on these particulars. But I don’t want to go there. Steve Briggs: No, we don’t. Alex Tsakiris: I want to stay right where you’re at, but to me that’s the level-2 stuff, you know? Is it real? Well yes, I can prove it in this way and that way. I take what you’re saying as true and then I say, now Steve, you’re the expert I want to talk to about this and I want to just kind of dive right into my thing here. Alex Tsakiris: So, now I’m looking at the ET stuff, right? Alex Tsakiris: And one of the things I’m looking at is that we’ve tried this sensory deprivation thing, it looks like we’ve done it in a very horrible way. Whitley Strieber is a great example on this. Whitley Strieber, and I played the clip, I’ll probably inject it into this show as well, his interview on The Higherside Chats recently, an excellent interview that Greg did with him there, but he said this in other places, in his books. He remembers being a seven-year-old kid in San Antonio, Texas, and being enlisted, brought into this program with these other children, where they were doing exactly the kind of stuff that you’re talking about, and their intent was to break these people into this extended realm. This is a Stranger Things, kind of thing, if you’re familiar with the Netflix series that was huge. Well, the parallels with the Tibetan lama story that you’re telling is just chilling, but there’s something that we have to really put our finger on here and try and get to the bottom on, is the morality of this and the mechanics of it. To a certain extent these people are saying, “This is no big deal. This is a mechanical, scientific, materialistic process that we can manage, control.” If you’re a shadow government kind of guy, we can weaponize. But that seems to be their intent. Alex Tsakiris: So, now we have to pull back and say, okay, to what extend are these extended consciousness realms flexible and not in the way that we were talking about before? That’s question one that I think we’ve answered. They are flexible, and you can enter them in different ways. Now, where the hell is spirituality in this? Where is God in this? So, if we are comfortable with the premise that the flexibility of reality and the flexibility of consciousness is limitless, then we have that ability to move interdimensionally. I have experienced time travel into the past, which I felt less safe with than space travel. I don’t know if I need to elaborate on why, but if you mess up in the timeline you might not be happy with where you end up. But in the kind of travel I’ve done where I interacted with the Sirians, I was very comfortable. So, we could talk about their physical description, what they taught me. What would you rather have me focus on here? Alex Tsakiris: Jump right into it. This is really, really challenging stuff. I like the way you said, “Let’s step back and go through our knowns at this point, if we’re willing to go there.” Our knows is that there is this flexibility to reality and you can hit the tennis ball and Michael Jordan can see the hoop as big as the moon. So, that’s real and then we take, again with parapsychology, we say, “What does presentiment say?” It says time isn’t really what we think it is. 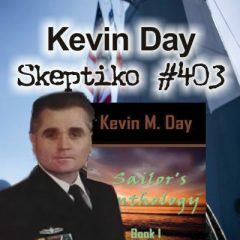 Then, I’ve got my buddy, Dr Andy Paquette, who’s been on the show, 5000 precognitive dreams that he’s catalogued and published peer-reviewed papers on it. Precognition folks, blows our idea of time. So, that’s on the table. Then, this astral travel, travelling outside of your body, people being able to see and report things back and they’re true. That’s all on the table. Steve Briggs: Yeah. Tibetan lamas don’t think twice about travelling, not just the ones that sit in their cubicle for three years. They say, “Listen we all do it in our sleep. We don’t wake up knowing we’ve done it.” Some do, some people say, “Hey, I visited so and so. I went to this place,” and have some sense that it was real, but other people say, “It’s just too fuzzy and I can’t go there, and I don’t believe that that’s possible.” In a sense, when they say, “I don’t believe that’s possible,” they’ve just shut the door on it. So, that’s another thing about infinite flexibility of consciousness, you are the free-will decider and if you say, “I have the potential to have this experience,” then you do have that potential. Steve Briggs: The shadow government has tried to present, I don’t know what terms people will understand it as, the cabal, the evil guys, the people with the negative agendas. They’ve tried to feed us the concept that life outside of planet Earth, either it doesn’t it exist at all, or if it does it’s evil and it’s going to hurt us or harm us or annihilate us or create catastrophic condition. I couldn’t say anything that is further from the truth. The extraterrestrial souls that I met, if you want to use an analogy, go to a playground, go to that playground in Del Mar there, right on the grassy area on a Saturday and watch 10 or 12 children, between the ages of six and ten having fun. That was my experience with these beings. They were so unbelievably kind and loving and innocent. A little almost frail, but very doe like in their eyes, large, peaceful, innocent eyes but like children. That’s the physical side and the personality, but in terms of the consciousness side, I had the impression that they could incinerate me in the blink of an eye. They would never do that, but they have the power to do anything, because they had the positive intent behind it. They had the power of the creator in their consciousness because they had the purity to not misuse it. So, my interactions were on multiple occasions and they taught me a lot of things about myself and interesting comments about our planet, which I had to think about and think about quite a bit before I could really digest. 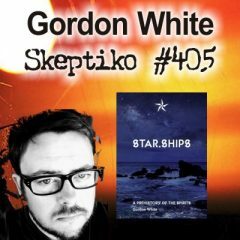 Alex Tsakiris: Thanks again to Steve Briggs for joining me today on Skeptiko. 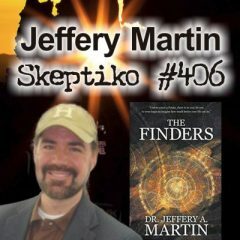 I think it’s going to be hard to sidestep the information that emerges in this interview about the Sirians and the specific information about their other planets and they have all of the information in the world stored in these crystals. I don’t know quite what to make of that. It’s certainly hard for me to swallow that as a literal reality, but I think Steve is also open to the possibility that he doesn’t know how much of that was even intended to be taken literally or how much of that experience was something that’s supposed to fit back inside of our day-to-day, normal reality. But of course, the problem and we’ve all encountered this, and I think we’re all wrestling with it is, what do we do when we take the next step that takes us further and further down that rabbit hole? What do we do when we look at the work of Dean Radin and we say, “Oh, presentiment seems to be real. So, I guess my relationship with time is not what I think it is. Oh, consciousness extends beyond bodily death and my consciousness can leave this body and then seems to be able to leave this earth.” Well, what does that mean, in terms of consciousness travelling and how far can it travel, and what can it know and bring back from those travels? These are all steps that I think most of us have taken along this journey, but the challenge is, what do we do when we encounter Steve Briggs and he adds another layer on top of that, that says, “I encountered these yogis in India and they do this and this and this and they can demonstrate it over and over again”? Then, what we do when he says, “Oh, and by the way, I took what they taught me, and I travelled to the Sirius star and talked to these people,” as you heard in the interview? What do we do with that? What do you do with that? How do you process that?